2003. Art of Sacrifice is the debut album by dbkaos. Based in the South-West of England, Dave Hickman, the man behind dbkaos, has had several years experience programming synths and effects for the thirteen sample CD's he's had released by Zero-G (the UK's leading sample CD producer). This pedigree has enabled him to compose Art of Sacrifice, a well crafted vision into the future of synthesis. Using a MAC computer as the main sound source with external audio contributions from a VCS3, Supernova II and of course access to his vast library of samples, the six tracks display a real sonic depth. Whilst it might be assumed that such music would be routed firmly in the studio environment Hickman has in fact been actively pursuing a live performance path . Indeed dbkaos has started to build an excellent live reputation having performed several gigs in the burgeoning concert scene in the South-West of England. These include a support slot for System 7 promoted by The Future Sound of Exeter at the Phoenix Theatre in Exeter. Future events include a live set at the chillout zone at this years Midsummernight's Festival in Exeter where Art of Sacrifice will be officially launched followed by a support slot for a Hawkwind / Arthur Brown gig on the main stage at the Phoenix Center in Exeter on 25th October. Musically Art of Sacrifice slots nicely into the DiN pantheon whilst retaining it's own individual character. Lush, ambient textures are overtaken by frenetic, complex sequencers. Trance like percussive sections give way to surrealistic, dream-like passages. The overall album has a real feeling of a journey although it's source and destination are ambivalent enough to allow the listener to formulate their own path. 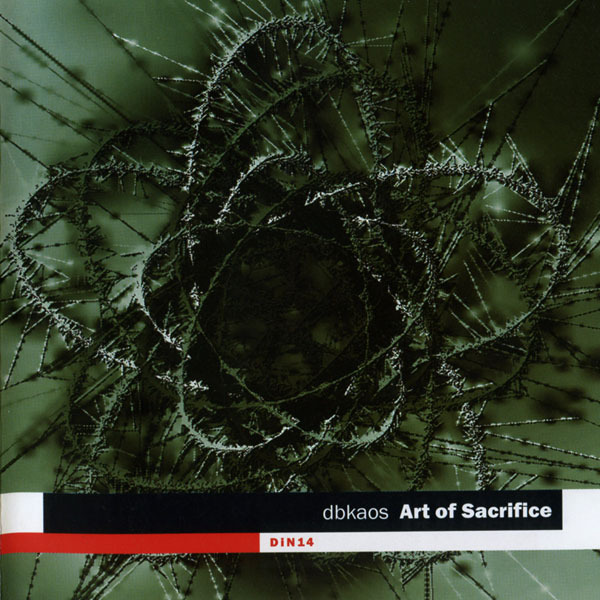 As such Art of Sacrifice perfectly crystallises one of the main aims of DiN to bridge the gap between electronic musics analogue ancestry with cutting edge digital soundscapes.